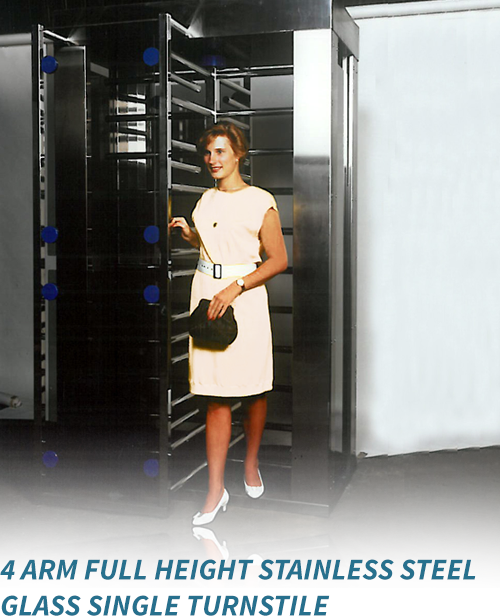 Full Height Prestige Turnstiles designed for banking, corporate and other prestige entries to guide personnel in to secure areas. 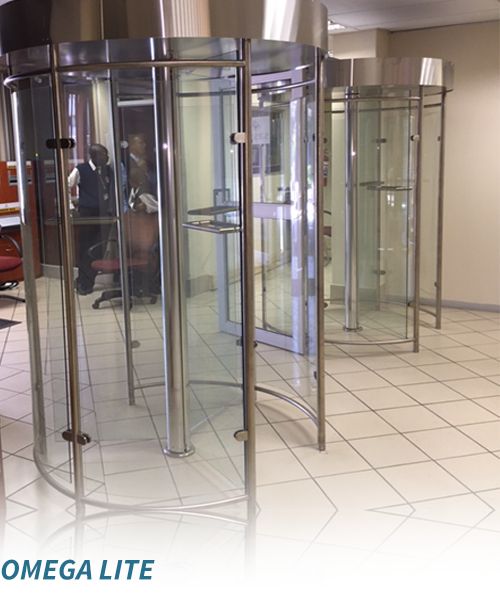 Our Prestige, full height turnstile offerings are complemented by our extensive range of service doors, speed gates and access control booths which in addition to being secure are well designed and aesthetically pleasing. 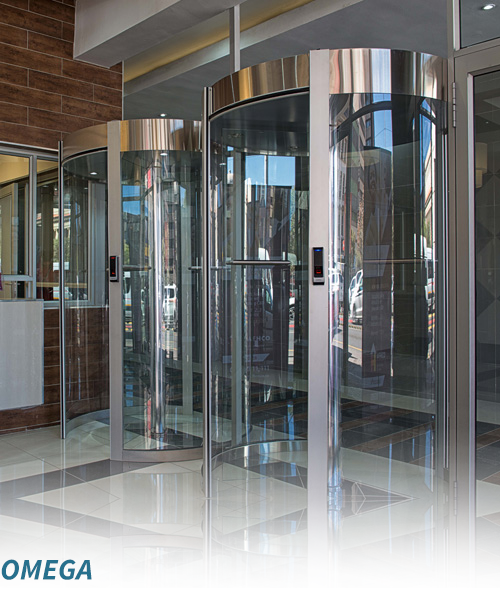 We welcome every opportunity to work with systems integrators, architects and companies to ensure the physical attributes of our prestige turnstiles’ design and system integration ensures the perfect solution for clients. TURNSTILE LOCK STD 100: From a locked position, the turnstile’s exit or entry rotation can be facilitated by a variety of methods, including: biometric controls- fingerprint readers, facial recognition- remote control, magnetic ID card and push-button control. An automatic “fail-lock secure” lock-up locking arrangement is a standard feature. Should the mains power fail or be switched off, the gate becomes locked in both directions and can then be unlocked in the desired direction mechanically with a key. Optional “fail-free safe” locking arrangement is available as an option on request. 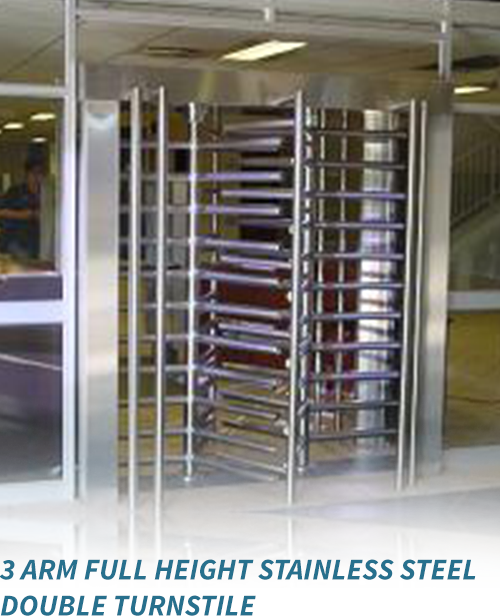 The bi-directional, shock absorbent turnstile lock mechanism is of a simple yet robust design. 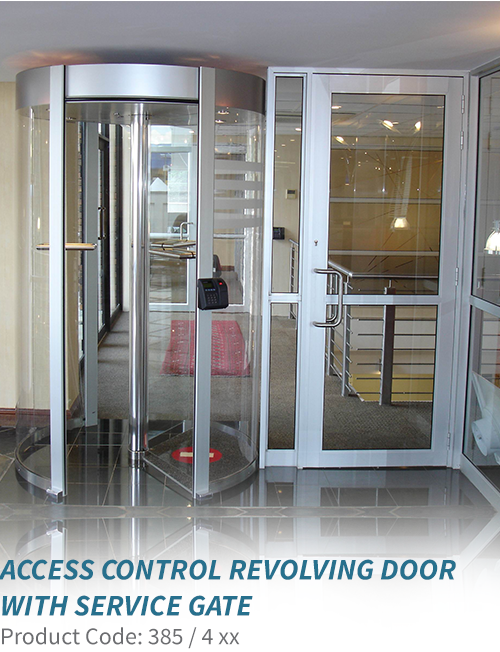 The lock and release arrangement is operated by linear motors and limit switches. A spring loaded damping device provides a cushioned homing feature whilst returning the rotor arm to its neutral horizontal no-entry position. 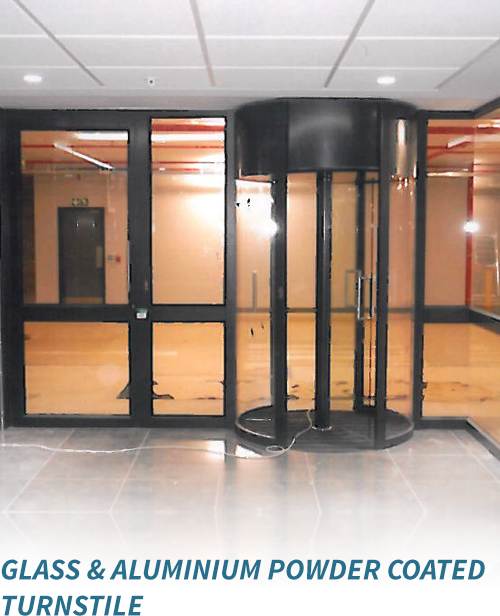 TURNSTILE ROTORS are of stainless steel 38 diameter polished tubing fitted onto solid rotor hub or 10mm thick clear toughened glass to high quality aluminum extrusions. 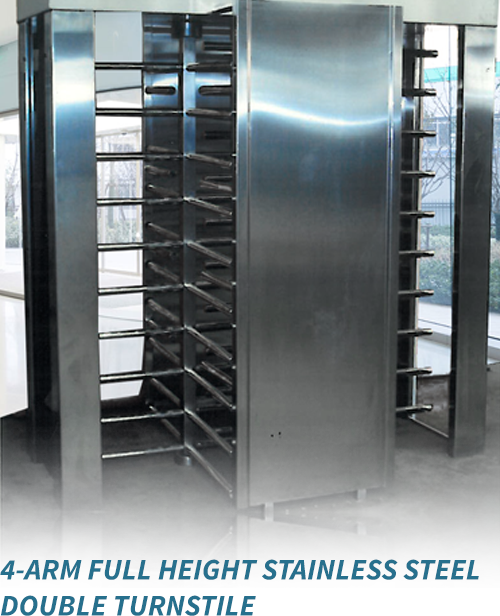 MAIN FRAME: is of low-carbon structures clad in polished stainless steel or anodized or baked powder coated to provide ergonomically and aesthetically pleasing appearance. The hollow sections provide ideal conducting power and control cables. Design combines cost-effectiveness with aesthetic while remaining aptly functional, to be in-tone with an architectural design. 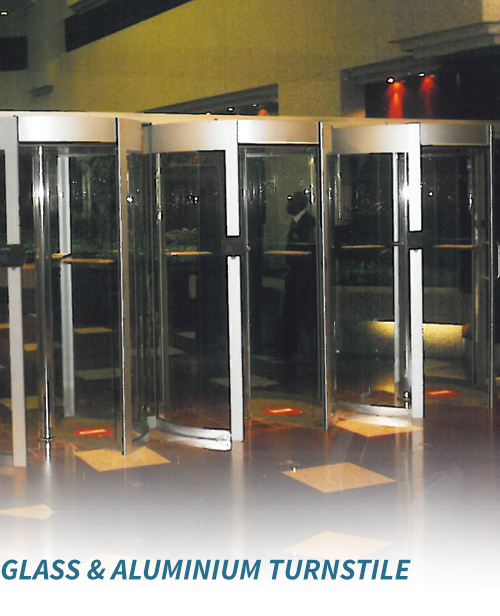 STD Turnstile Logic panel is offered to interface turnstile-locking arrangement with access control devices (biometric readers, card-reader, push-buttons, tickets, etc. ).